Promax is a digestive supplement for dogs and cats. 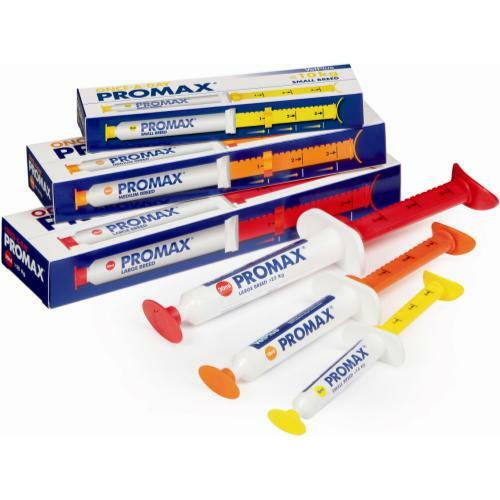 Easy to administer thanks to the handy syringe, Promax is an ideal solution to digestive upsets arising as a result of stress, antibiotic treatment, or ingestion of inappropriate foods. Just one dose a day over three days is enough to get your pet's tummy back to normal function, if digestive upset, vomiting, lethargy, or appetite loss persists after this period, consult your veterinary professional.